A little known accessory for Leica screw mount cameras is the VACU. It was made in a variety of versions. 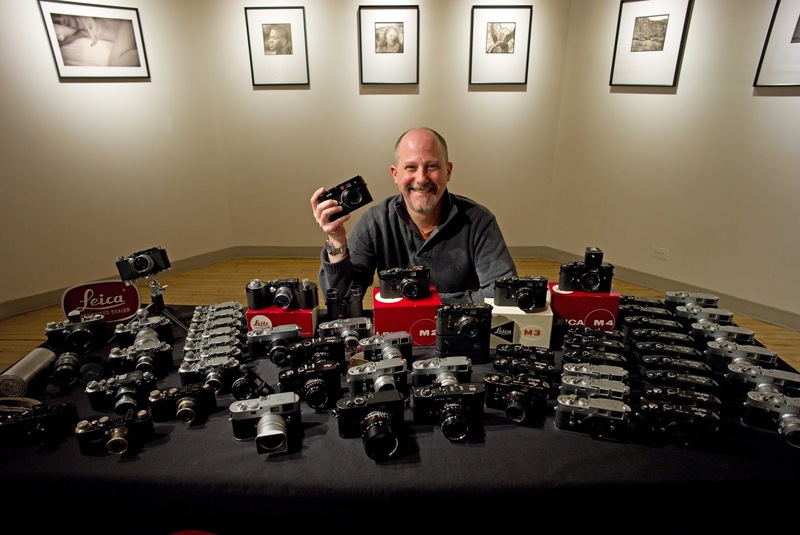 It offered the use of flash equipment with Leica cameras up to the Leica IIIc. Its replacement, the Leica IIIf was the first model with built-in flash synch. Leitz made several versions, all with their own catalog designation. Ranging from CAVOO-A to CAVOO-F. The CAVOO-A was to be used with the Leica III, the CAVOO-B was for the Leica IIIa and IIIb and several versions for the "c" model Leicas, from CAVOO-C to CAVOO-F. The unit consisted of a small trigger device that screwed onto the shutter release of the camera. It worked in conjunction with a small cam that attached to the shutter release dial. When releasing the shutter, the rotating shutter speed dial would activate a small switch via the cam to fire the flash. This in turn was connected to the VACU via a short cord with a PC fitting. The cam attachment came in four different versions depending what model Leica it was for. A word of caution; I have seen versions of the VACU offered for sale from time to time, but in each case the cam was missing, therefore rendering the unit incomplete and useless. The position of the cam on the shutter speed dial is critical because it determines the position of the shutter curtains at the moment the flash is triggered. Rotating it back or forth will allow for exact positioning. That, of course, requires a means to see if the flash is fired at the correct moment. To test if your camera synchs properly with a flash is no problem as long as you can open the camera back. Looking at the frame opening of the camera while firing the flash at a bright surface, will quickly reveal if the entire frame is exposed correctly. 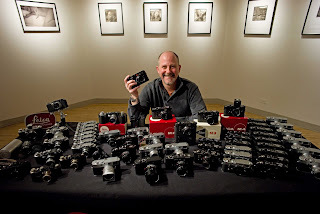 But what to do with cameras that don’t have an opening back like all of the Leica screw mount cameras? There is a very simple, non-invasive way to do so. All one needs is a piece of so-called glow-in-the-dark-tape. This should be noticeably larger than the frame opening of the camera. Inserting it into the camera in place of the film is all that’s necessary. With the lens removed, connect the flash to the camera, set the required synch speed and set off the flash, preferably firing right into the camera and then remove the tape. In a not too bright area, the tape will glow with the outline of the exposed area. This will quickly reveal if the entire frame is illuminated or if the shutter is covering part of the negative area while the flash is firing. This test will work with all types of flash equipment. . The first Leica I ever owned, a Leica III, was equipped with a VACU. I still consider it one of my prized possessions and I fondly remember leaning to take pictures with this camera, including flash pictures. It is a great camera to learn with because everything is manual. It created useful habits that I still practice today. For instance, after getting many severely blurred pictures, in spite of careful focusing, I learned that it is advisable to pull out the collapsible Summar f/2 before shooting. But that is ultimately a different story. I don’t use the Leica III very often anymore in these days of digital photography. But it does take up a prominent spot in my Leica collection, together with the VACU attachment in place on the camera. Be part of Leica's Modern Portraiture Competition and prove your skills as a portrait photographer. Get the chance to win one of three HUAWEI P10. These have been co-engineered with Leica and are your gateway to artistic portraits in Leica image style in a very fast and compact package. Show us your best contemporary portraits for a chance to win a Huawei P10. The competition starts now and ends on April 11th, 2017. You only have to upload your best portraits to the Leica Fotopark "Modern Portraiture" category. Not a Fotopark member yet? Sign up and log in now!